Self Assessment taxpayers bear a significant responsibility. While those who pay all their tax through PAYE have the luxury of leaving their tax affairs to someone else, Self Assessment taxpayers have to do the work themselves. Completing a Self Assessment tax return is something to which few people look forward – but it is not necessarily a task that needs to be particularly arduous. With a bit of forward planning you can ease the burden quite significantly. Here are some top tips to make Self Assessment easier. Record-keeping is absolutely vital. Apart from your legal obligation to keep hold of certain bits of paperwork, you can’t hope to complete your Self Assessment unless you have all the relevant receipts, invoices and statements. Make sure that you keep these organised. Rather than leaving it until the last minute, why not do your bookkeeping as you go? By taking an hour out of your day once a week or even once a month, you can ensure that you keep on top of things – and that you don’t have to spend days on end doing it in January. You can make this task significantly easier by using bookkeeping software. This will help you to keep your records organised – and, if the software is any good, will provide you with the numbers you need to fill in your Self Assessment with the click of a mouse. There is a range of bookkeeping packages on offer, some of which are free and the majority of which are very affordable. It is imperative that you understand what you can offset against your income. For example, if you work from home you may be able to claim for a portion of things like rent and utilities. Many people overpay their tax by a significant amount, simply because they don’t know what they can offset. More information on allowable expenses is available elsewhere on this site. Every long-term Self Assessment taxpayer is familiar with the last minute rush to get their return in before the deadline. But the problem with this, aside from the stress, is that you don’t know how much you will owe until it is due. By doing your tax return early you can give yourself longer to plan financially – and make the eventual bill easier to shoulder. HMRC is gradually moving all of its filing services online, and phasing out paper forms. There are several very good reasons why you might choose to do your Self Assessment online – not the least of which is that you get more time. In addition, if you use the online process your tax liability will be calculated for you, eliminating the potential for mistakes on your part. If you are doing your Self Assessment online for the first time, it is vital that you remember you will need to register in advance. You will need a Government Gateway username and password in order to use the service, and this can take around a week to arrive. Make sure that you factor this in if you want to meet the deadline. If you choose to complete your Self Assessment tax return on paper, you should remember that you may need to request extra pages. You will need to do this if, for example, you are a trustee. 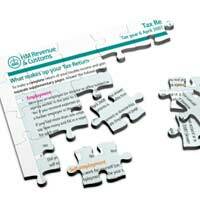 The need for extra pages is common, so you should check with HMRC in advance if you are unsure. If you are paying off a student loan, remember that this will be added to your Self Assessment tax bill. It is all too easy to forget to factor this in – only to be presented with a bill much higher than you had anticipated. Full time and part-time student who start their course after 1st September 2012 begin paying back their student loan once they earn more than £21,000 per year. Courses starting prior to September 2012 start repayments when earning in excess of £15,000. Repayments are calculated at 9 per cent of earnings over the relevant threshold. Remember that this doesn’t mean you’ll pay 9 per cent of your total earnings – just the bit above the threshold. Finally, it is vital that you understand the payment on account system. If your total tax bill if more than £1,000, you will need to make two payments on account – one on 31 January and another on 31 July. Each of these payments will normally be 50 per cent of your tax bill for the previous year. The intention is to spread the bill across two different payments, making it easier to settle. But again, you should remember to factor this in if you want to avoid a potentially nasty surprise. If you are in any doubt about your tax responsibilities, you should seek independent advice.